Though it may be a surprise, gold has been used for skin care for thousands of years, but it wasn't until recently that gold-infused products were available for in-home use. yeah, its true that it was good and i was surprise, but for now i used (Oro Gold)its 24k gold cosmetic it is so wonderful and amazing try it and you prove. 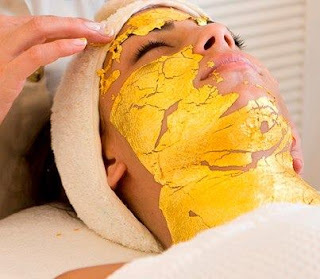 Gold can really help us maintain our glowing skin and can make us confident to wear any kind of makeup, and even if there is no makeup to put on. Thanks for my Oro Gold cosmetics, it can really help us look younger and glowing always.